Ride for a Reason on a bike tour of New York City, and do it to help fight migraine disease! The Migraine Research Foundation is an official Charity Partner in the TD Bank Five Boro Bike Tour on May 1, 2011. This is the largest recreational cycling event in America. MRF has a limited number of tickets available for this sold out event. Help raise awareness and critically needed funds for migraine research while riding in this incredibly empowering and inspiring event. To learn more please go to www.migraineresearchfoundation.org. 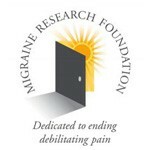 The Migraine Research Foundation is dedicated to ending the debilitating pain of migraine. We fund innovative research to further the understanding of the causes and mechanisms of migraine, to develop improved treatments for sufferers, and to find the cure. All our operating costs are underwritten–so every dollar raised goes directly to migraine research.